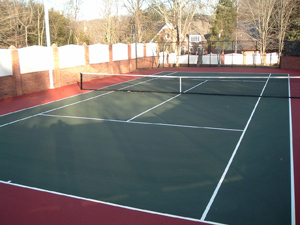 Build tennis courts from start to finish, including land preparation. CLICK HERE to see photos of other Poteet Brothers Construction projects. Copyright 2010 Tennis Court For You. All rights reserved. There are many good reasons for actively playing tennis. See the following videos about the improvement aspects of having and using a tennis court of your own.